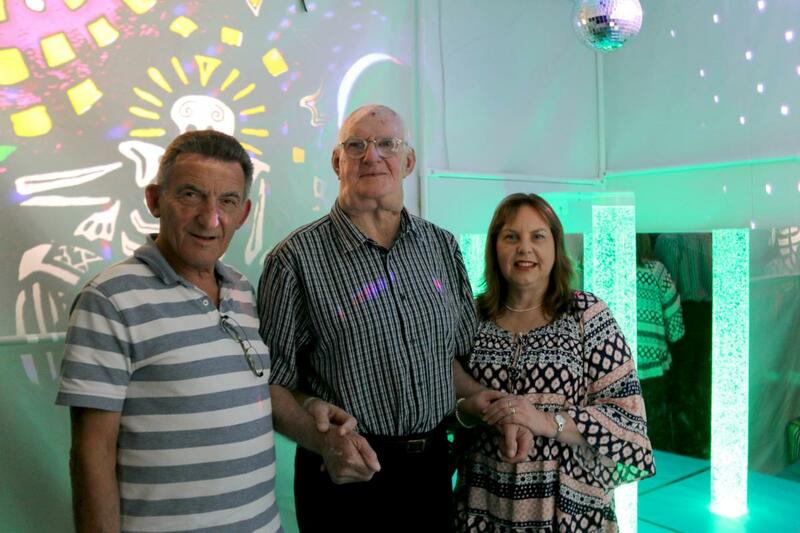 Clients at our Clayton South disability service are now able to take time out and relax thanks to a new Multi-Sensory Den. The Den uses equipment such as projectors, mirrors, soft mats and fibre optics to increase sensory stimulation as well as helping people with disability feel relaxed. This innovative new space was made possible thanks to a $30,000 grant from the Central Bayside Trust Fund. The Trust Fund Committee, led by three amazing community members, Bill Nixon, Debbie Edwards and Rod Hain, has provided more than $250,000 to local community health projects and the Multi-Sensory Den is the final grant from the fund. “The Multi-Sensory Den provides a warm, inviting environment for our clients to relax and unwind mentally and physically as part of their daily programs. This is very important for health and wellbeing,” said CBCHS General Manager Aged & Disability Services, Peter Spyker. “We are extremely grateful to the Central Bayside Trust Fund for funding this project and many other initiatives to improve community health over the years,” he said.